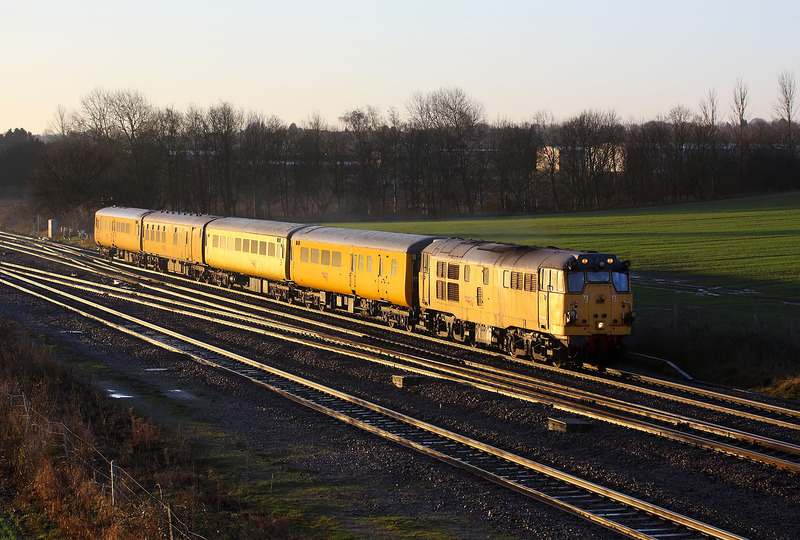 A golden glint lights up 31233 at Harrowden Junction on 11 January 2014, as it heads out of the early morning sun with the 3Z05 06:28 South Acton to Derby RTC Network Rail test train. DBSO 9708 was bringing up the rear. The junction visible here is the connection between the main line and the bi-directional relief line in the foreground.